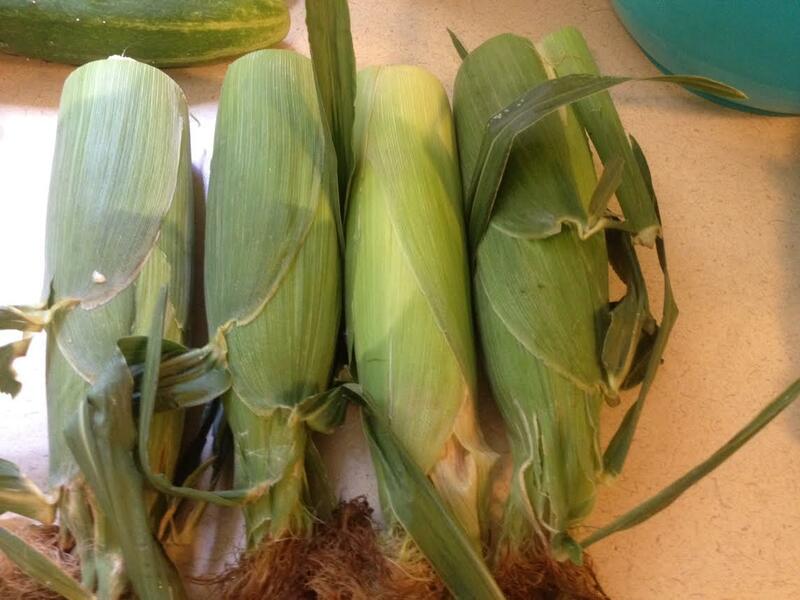 Yesterday I bought 12 ears of corn at the farmer’s market to cut off the cob and put into the freezer for winter. 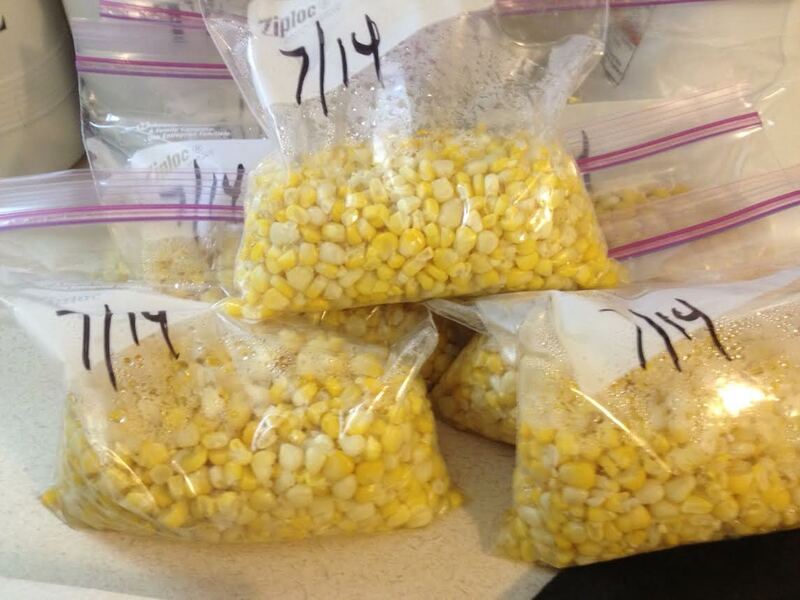 12 cobs made about 7 half-quart size bags. I used that cool trick you see online where you cut the end of the cob off while it’s still in the husk. 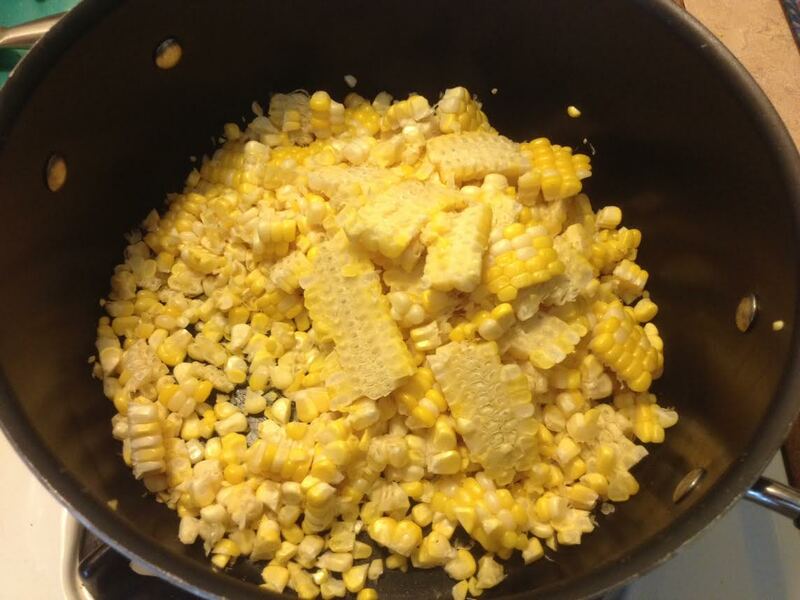 Then, you microwave each cob for about 2 minutes and then you can squeeze the cob out and all the silk is supposed to come right off too. It didn’t pull all the silk off, but almost all of it. It definitely made the corn much easier to clean. 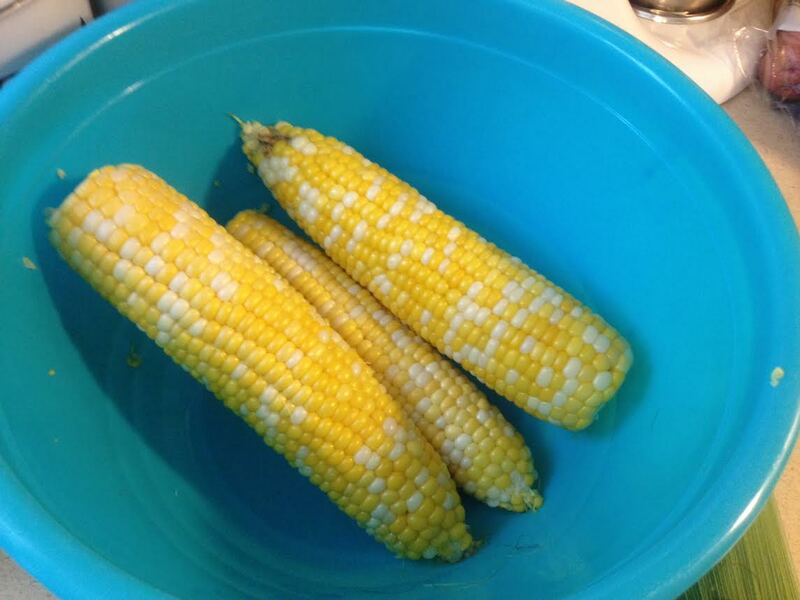 I had quite the assembly line going with one cob in the microwave while I cleaned another, let another one cool, and then cut the kernels off another. Then I added about 3 cups of water, some salt, and a dash of sugar. I stir it and bring it to a slow boil for about a minute or two. Then I turn off the heat and let the corn sit and cool before bagging it. I let the bags sit about 30 minutes to cool some more, and then put them in my freezer. Great for side dishes during the holidays or to add to hearty soups in the winter. Now that I have a deep freeze, I plan to do this at least one more time and add another 6 or 7 bags to my stock pile. 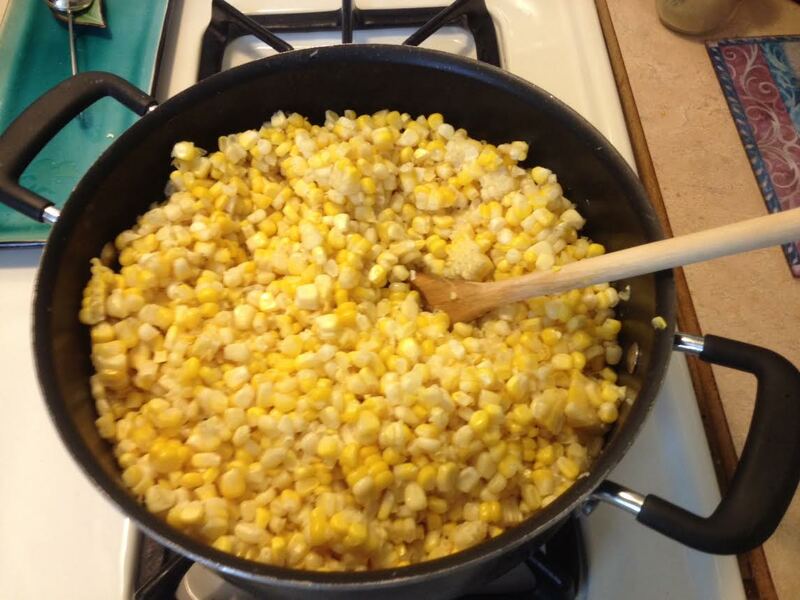 I never knew that “putting corn up” was so easy until my mom recently told me how to do it. And I’m glad she did. It’s a yearly tradition of hers that I can now carry on.